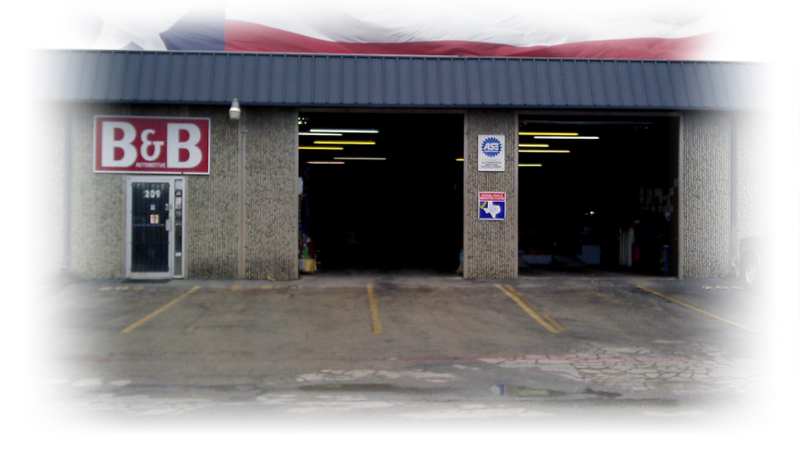 B and B Automotive is the best choice for all your Arlington auto repair needs. Our skilled and dependable technicians will ensure that your vehicle is fixed to your satisfaction. Please feel free to fill out the testimonial form at the bottom of this page. I brought my pickup in early and left it with Bob who said they would get the diagnosis done, at the very, least, before the end of the day.Shortly before closing time, I received a call informing me that it was ready and I needed to pick it up! The price was right and the service was excellent, even did a little follow up at no charge, and the truck runs great! It is nice to see automotive mechanics who do great work for a great price and stand behind what they do. There's no wonder why people have been bringing their vehicles here for over 31 years, ...and I will continue to be one of those people! Great job guys! I recently moved to Arlington and began taking my car to B&B because my son and his family have been customers for over 20 years. Their recommendations were the highest, and I have not been disappointed. Each time I take my car in for service, Bob and his mechanics are very pleasant, know what they are doing, never over-charge, and keep my car in tip top condition. Look no further for someone to take car of your automotive needs, TRUST THEM TO B&B AUTOMOTIVE. WOW,WOW,WOW, Before I say any thing else if your not going to Bob at B&B your at the wrong place. My truck my wife's van my oldest son ( 40 ) my youngest son (30 )all of our vehicles only go to Bob. We have been doing business with Bob for 15 years. Every thing you read about the type of care you get from B&B just scratches the surface. There really is not enough room to say all that I could say about this man and his brother-in law Jerry. Every thing to oh no !!! Bob I hear a new rattle to Bob I'm broke down, this is the MAN. YOU WANT TRUST, YOU WANT PERFECTION,YOU WANT SERVICE no matter how small or how large listen to what every one has to say and you will end up at B&B. This may sound like a paid advertisement but it is NOT!!!! Contact me and I'll tell you the same.My truck has over 200,000 miles and runs like a purring kitten. When and if the engine goes out I'll have Bob fix it.The way he takes care of my vehicles they will probably out live me. No BRAG about this shop ALL FACT. B&B has taken care of my vehicles since 1997, 18 years. From oil changes to inspections to total engine replacements (twice), they've always done good work and they are the only business to touch my vehicles period. Bob is a very friendly guy and easy to work with too. You'll get your vehicle back as it should be without a long wait and more than likely far lower price than you'll find elsewhere. They are quite trustworthy! Mr Hahn and his employees were great; they looked at the problem I was having with my car, and found it. They were very professional and you knew, they knew there stuff. He was honest and very helpful. He now has a customer for life. In this world of ours now, it is great to know there are still honest people out there and that they believe in customer service. Go see B & B you'll be glad you did! B&B has been a blessing for me. I have spent 3/4 of my life looking for an excellent mechanic who is honest, professional and highly-skilled. You can stop searching because B&B is the real deal. I am very happy with them. Dr. James A. Farmer Business Owner. I haved brought my class A motorhome to B & B Auto several times and have always been very happy with the service rendered. It is hard to find someone who is knowledgeable about motor homes and actually willing to work on one. They have provided service above and beyond each and every time. Thanks for always taking care of me! He is a fair and honest which is hard to find when it comes to car repais. So he is the only place we turn to for all of our needs. I have had a number of things repaired by B&B, all at a reasonable price and delivered at the promised time. Recently, my air conditioner went out (not good in this Texas heat!). I brought my SUV in into B&B and they repaired the air conditioner (that day!) and because I was without transportation Bob brought me home and picked me up when the work was completed. That is service you'll have a hard time finding anywhere else! 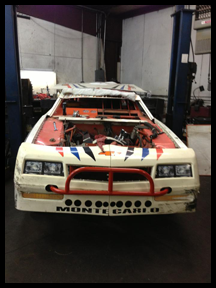 I had two of my vehicles repaired by B & B Automotive. Both times they were fair with the pricing, had my cars fully repaired on promised time, and cost effective. I highly recommend them. B and B does all the maintenance on our cars, even the oil changes and inspections. The work is always done correct, and done right. Professional treatment and fair prices. And you can be sure that your car is in the hands of real car guys.We highly recommend them for any vehicle service that you may need. Hi my name is Robert. I've been coming to B & B since I have been driving. The staff is always helpful and my car always runs great after being serviced. Bob is very knowledgeable and a very friendly person. I feel that my business is appreciated and I am valued as a customer. That is why I always choose B & B for all my automotive needs. Hi my name is Sam. B & B is the best shop in town. As a fleet manager I trust them working all my vehicles both personal and for work. I have never had to bring a truck back for the same problem twice.